Our consulting services are based on trust and all-important expertise. We guide your company professionally through individual logistical processes while giving equal consideration to your employees and your company philosophy. We take on all of the planning work for your project, which includes coordinating transport, handling and warehousing processes with an eye to the future. The aim: clean processes that are guaranteed to run smoothly over the long term. 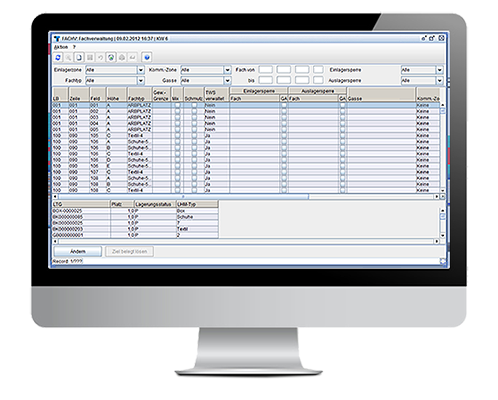 Pure research is the foundation of our unique software modules, and is integrated into our clients’ existing situations on an individual basis during projects. Strong software is based on strong ideas. Through targeted modernisation, we can breathe new life into logistics processes and systems that are getting long in the tooth. Retrofitting is used to make your system capable of performing better than ever – without needing to reinvent the wheel. DR. THOMAS + PARTNER GmbH & Co. KG has been implementing logistics systems for national and international companies for over 35 years. Our IT solutions are also unique for each client, as the adaptive software guarantees the highest level of flexibility with maximum security. For you, this means that you buy exactly what you actually need. The size and industry of your company are not an issue. Our IT solutions stand out due to the optimal mix of innovative and standard elements that they contain: the combinable software module groups always offer the best solution for you thanks to their flexibility, and can also be re-used time and time again.